Summary: A good friend is moving soon, and I recently hosted a going-away dinner for her. Eggplant parm is her favorite meal, so I wanted to make a truly superlative one. After crowd-sourcing recipes and tips from trusted foodie friends, I came up with this recipe which I would absolutely, enthusiastically make again. Two pals suggested baking the eggplant rather than frying it. Because eggplant is the greediest olive oil sponge in the world, I took their advice and was really glad I did. Oily eggplant dishes always turn my stomach. My friend, Suzanne, a great cook who writes the food blog, A Pug in the Kitchen, told me that she breads her eggplant with panko and also uses ricotta in addition to mozzarella and parmesan. Yum! 4 firm, smooth eggplants (try to get male eggplants as they are less bitter and have fewer seeds; to figure out if your eggplants are males, look at the bottoms- male eggplants will have rounder, shallower indentations; female indentations are deeper and less round); washed, trimmed, and sliced into rounds no more than ½" thick. Sweat the eggplant: It is important to remove as much excess water from your eggplant as possible so that your casserole isn't watery later. To sweat your eggplant, line a half-sheet cooking pan with one clean dishtowel. Lay the eggplant rounds in a single, snug layer atop the towel, and sprinkle them liberally with kosher salt. Top with another clean dishtowel. Repeat as needed with half-sheet pans and dishtowels, until all your eggplant is salted and laid out. Stack the pans, put a final dishtowel over the top pan of eggplant if you haven't already, and put some heavy pots or the like on top. You want to press the eggplant while it's salted as this will help force out more water. Let sit for about 30 minutes. Preheat your oven to 450°. Make the sauce: Meanwhile, in a heavy-bottomed stainless or enameled cast iron pot set over medium-low heat, put the 2-3 tablespoons of olive oil (you want the bottom of your pot lightly coated). When just warm, add the minced garlic, and stir for thirty seconds until fragrant. You don't want to brown the garlic. 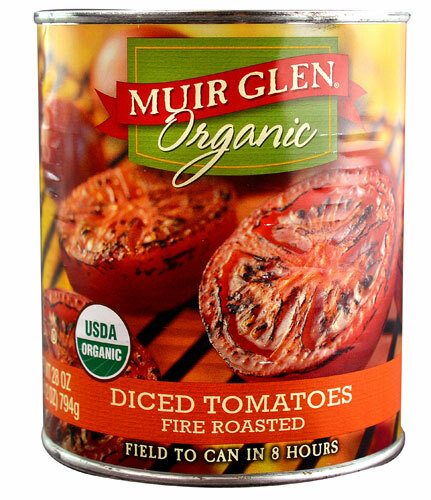 Add the canned tomatoes with their juices, the lemon zest, crushed red pepper flakes, pecorino rind, and at least 1/2 teaspoon of sea salt. Stir to combine everything well, turn the heat up to medium, bring the sauce to a simmer, and let cook, at a slow simmer, for at least a half hour. You want it to cook down and thicken but not overly reduce. Once to your liking, remove what remains of the cheese rind, and if you like a smooth sauce, use an immersion blender or your regular blender to puree to your liking. Cook the eggplant rounds: Once your eggplant has sweated for thirty or forty minutes, remove the rounds from the damp dishtowels and place near your workstation. If you've not already, put your flour into a medium-large mixing bowl, and whisk with 1 teaspoon of kosher salt and ½ teaspoon of freshly ground pepper. Round by round, dredge the eggplant in the flour mixture. Place the floured eggplant rounds on a pan drizzled with olive oil and then drizzle a bit more oil over the tops. Cook in the preheated oven for 10-15 minutes. Flip the slices over, and cook another 10-15 minutes. Remove from oven and set aside. Reduce oven temperature to 400°. Putting it all together: Decide which pans you want to use for your casseroles. I used an earthenware baker (interior size roughly: 11" x 8" x 3") and a Staub gratin dish. I probably could have packed everything into the baker but didn't want to make the dish too deep. Mix together the ricotta and a generous 1/2 cup of parmesan. Get the mozzarella slices ready and near. Ladle just enough sauce into each pan to cover the bottom lightly. Lay out one layer of eggplant in each pan, fitting the rounds snugly together atop the sauce. Sprinkle with half the panko. Dollop the ricotta-parmesan mixture over the eggplant in both pans. Use it all. Top with some sauce. Lay out another layer of eggplant, again fitting the rounds snugly together. Sprinkle with the rest of the panko. Top this eggplant layer with the mozzarella slices. Use it all. Cover with another layer of eggplant, top with sauce, and repeat until you're out of eggplant and sauce. Sprinkle the rest of the parmesan over the tops of both casseroles and bake for 30-35 minutes. Let sit for about 20 minutes before serving. You can make this a day in advance if you like. Simply rewarm gently before serving.